I’m ready – are you? Friday is here and I’ve got no big plans for the next two days. Last night I pulled out my Snapshots box and sorted through fabric to decide on the next block. I decided that I was going to do the original #10 block in the series, called GONE SURFIN’. 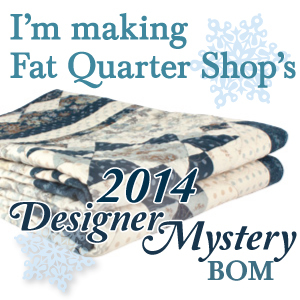 You can do this block too, by following this link to the Fat Quarter Shop blog site for the Snapshots Quiltalong. As with all of their blocks, they have the PDF pattern and a video tutorial. Picture below grabbed from that web page. I have been doing my own color scheme, using a variety of bright fabrics, from the beginning. Now that I have the majority of blocks done, I’m working on these last two to repeat some fabrics and create balance in the overall quilt top. Here’s my pull for fabrics last night. I’m hoping it goes quickly, because this will only leave Block #12, WALK IN THE PARK, and the bonus CAMERA block for the back to do. Then on to framing out each block and adding the sashing and pieced backing. Still a long way to go before it is ready to quilt, but I can’t stop now. Too close to the end, right? On another note, I was able to leave a wee bit early from work yesterday and we had a particularly nice evening ahead of us here in Houston. The traffic was still terrible, so during the stop-and-go periods I took a couple of pictures of the pretty skyline. I wish you a wonderful weekend ahead! See you on the other side! Pretty fabrics! I’m looking forward to seeing how your block turns out.